Weight loss hypnotherapy has grown in popularity over the years due to the way that people are able to become more motivated and more in control of their habits from using it. While for some people being able to lose weight is very easy, for some people it is much more difficult. No matter what they try to do, it always seems like a struggle and the old habits come creeping back in. Sometimes people struggle to lose weight because they use food as a way of dealing with emotions. Sometimes people struggle to lose weight because they are eating the wrong types of things in general. Some of this can be from making poor choices and some of it can be from miseducation about what is good for you and what isn’t. A lot of that has to do with influence from the food industry lobbying governments so that they can make more sales. Here is a basic rule to follow regarding food. If it is processed and when you read the label of ingredients, you can’t picture what they all look like, DON’T EAT IT!!! 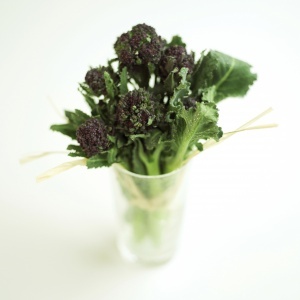 If it is broccoli in a packet pre-chopped into florets and you can see that it is just broccoli then it’s fine. If it has anything added to it then leave it alone! Sometimes people struggle to lose weight because they have a poor image of themselves or they identify themselves as being overweight or fat. This kind of self-image leads to poor choices being made subconsciously. Sometimes these choices will be made subconsciously without you realising that you’ve picked it up and sometimes you will be conscious that you shouldn’t but there’s something inside of you pushing you to do it. That is the part that we need to speak to using hypnotherapy. This is where using hypnotherapy for weight loss really comes into it’s own. Does Weight Loss Hypnotherapy Work? Weight loss hypnotherapy will work as long as you are willing to work with it. Let’s be honest, if I gave you a book with all of the answers to all of the questions that you’ve ever had about life and you didn’t read it, who’s responsible for you not having the answers that you are looking for? I have had fantastic results with people that have come to see me for weight loss hypnotherapy because they have listened to what I’ve said and taken it on board. If I feel that you aren’t going to be willing to make any changes in your life so that you can lose weight I will tell you because if I don’t think that I can help you I will tell you before you spend a single cent. I want you to get the best out of this experience and I want you to be successful for the long term. Sometimes people do come along saying that they want weight loss hypnotherapy but that they aren’t prepared to change a single thing about what is making them overweight. Hypnotherapy isn’t a magic wand and you need to be prepared to change, otherwise what’s the point of asking someone to help you change? When you read that it sounds a bit crazy right? This way of thinking comes up so much though in many areas of people’s lives. They want to change but also don’t want to change. This is because it rubs up against people’s boundary conditions. You can watch a video about boundary conditions here. Apologies for the quality of the visuals on the video. It was recorded on Facebook Live but the content still stands. Luckily boundary conditions are something that can be changed easily using hypnotherapy. Basically you are going to get out of weight loss hypnotherapy the same amount as you put into it. I have had gastric band hypnosis clients drop a clothing size in 1 week because they did everything that I said and put the effort into changing their life for the better. This doesn’t happen for everyone but I have had this happen quite often. If you are going to fight against me and the steps that I show you then no, it won’t work for you. But then, nothing else will either. 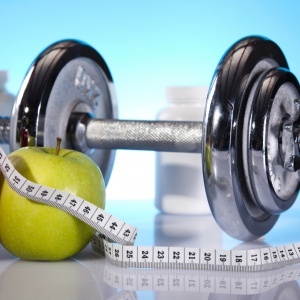 Weight Loss Hypnotherapy or Diet Change or Exercise? Sometimes people come for weight loss hypnotherapy and think that it’s an either/or approach. If I do one thing then I will never have to work on all of the other areas. This simply isn’t true. You need to get your body moving more and you also need to look at what you are putting into your body. If you come to me for weight loss hypnotherapy and on the back of that you start exercising regularly and eating better then that is a massive win for me and for you too. You’ll thank yourself for it in the future. So let’s start out by not excluding any one of these and looking instead at how they can be incorporated to help you to become healthier and happier. I want you to be happy both inside and outside at the same time. Exercise is essential for your body. You need to be challenging it to be able to do more than it was previously to keep moving forwards. I’ve had some people tell me that they can’t exercise yet I’ve never had anyone come to see me who genuinely can’t do any. The reason why some weight loss hypnotherapy clients say that they can’t exercise is that they have an unrealistic image of exercise in their mind. Sure you probably won’t be doing sprints and lifting heavy weights straight away but could you do armchair exercises such as armchair yoga? You can follow a routine like the one above if you have limited mobility. If you can’t do one movement then you move along to the next one that you can do. You could just repeat an earlier one that you were able to complete or carry on doing the last one until you are able to do the next new move. No excuses about exercise! Changing your diet is also going to have massive impact on your body shape. The 80/20 rule comes into play with nutrition. 80% of your body changes will come from nutrition and exercise will make the other 20%. I myself don’t eat a ‘clean’ diet 100% of the time. I eat clean 80% of the time then allow myself 20% to have what I want. You have to be very strict about it being only 20% of the time though and that doesn’t mean you can have a day of eating garbage and not suffer the consequences. For example, 4 days of eating clean and then on the 5th day if I get a craving for something and I feel like I actually want it then I will allow myself it for 1 meal or snack only. Then back to another 4 days of eating clean. If I know that there is a day coming up where my diet will probably go out of the window I will plan my clean days around it to compensate. Cutting carbs down and increasing good fats will also have a dramatic effect on your health. You only really need carbs if you are about to undertake rigorous exercise (and I do mean rigorous not armchair yoga etc). 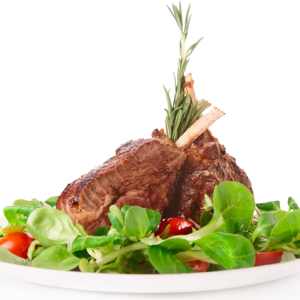 The rest of the time you are better eating proteins and fats. When you do eat carbs you need to be aware that you are eating carbs and how much sugar and starch is in certain foods including fruits and vegetables. I highly recommend cutting down your carb intake to 150g per day initially and seeing how your body adapts to that level. Then down to 100g after it has adjusted and then you can go lower once you are used to doing that. Personally I alter my intake depending on activity levels and on some days I will eat only 20-30g of carbs all day. I have plenty of energy and I am perfectly healthy but this level isn’t for everyone. When I am in a focused phase for weight loss I will restrict myself to this level 7 days a week for 2-3 months but generally I will vary it. Once again this isn’t for everyone and i won’t be telling you to do this. This has to be about you and what you are happy and comfortable with. Weight Loss Hypnotherapy. Is It For Me? The definition of madness is doing the same thing and expecting a different result. If you are willing to change and you want to change then yes weight loss hypnotherapy is for you. If you aren’t then we can look at one or two sessions to help get you into that frame of mind so that you are ready. There is always a solution! Weight loss hypnotherapy sessions are held just a short walk from Leeds train station. I don’t ask people to make a decision straight away. I want you to make sure that you are ready to change your lifestyle and that this is something that you want to do. If you are interested in weight loss hypnotherapy you can complete the contact form here. © Paul Ramsden · 2016 · All rights reserved.